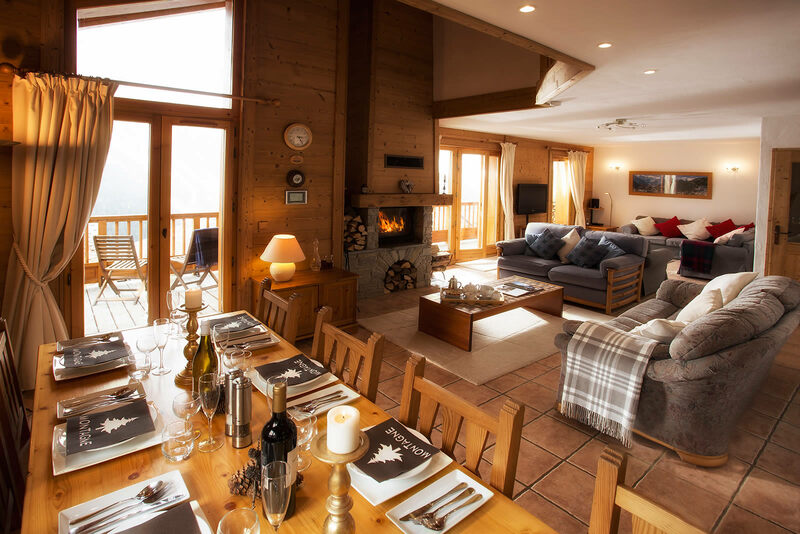 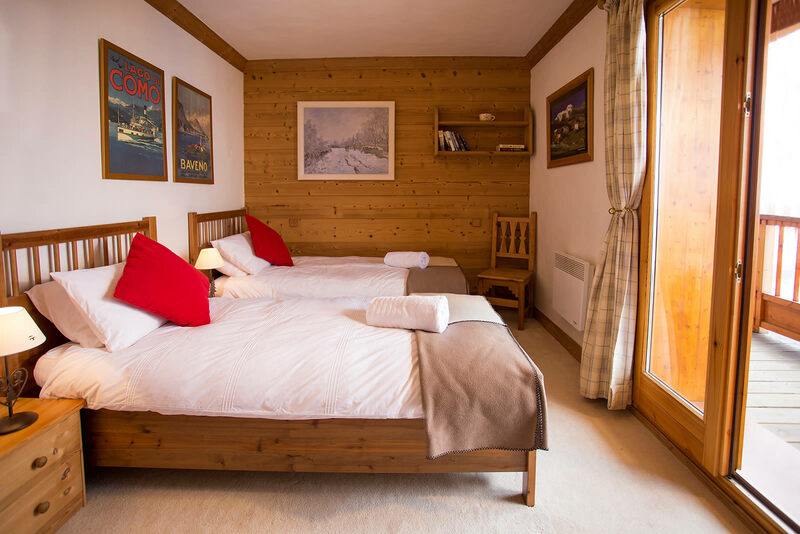 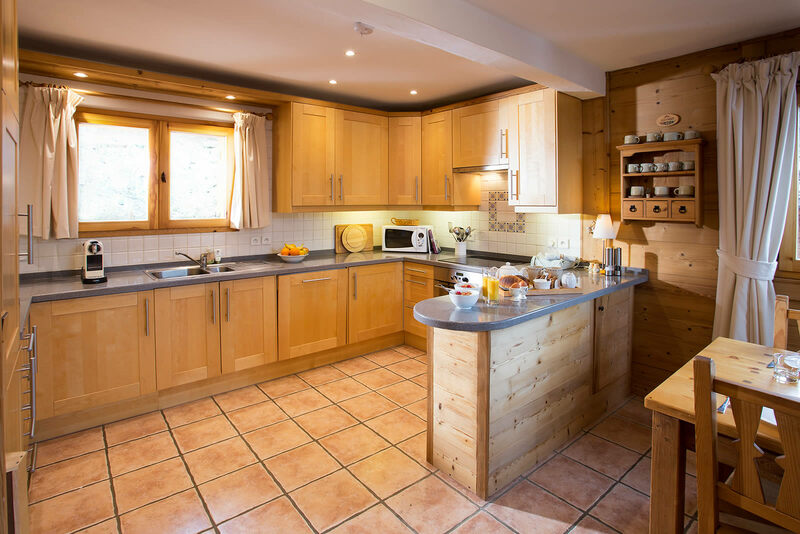 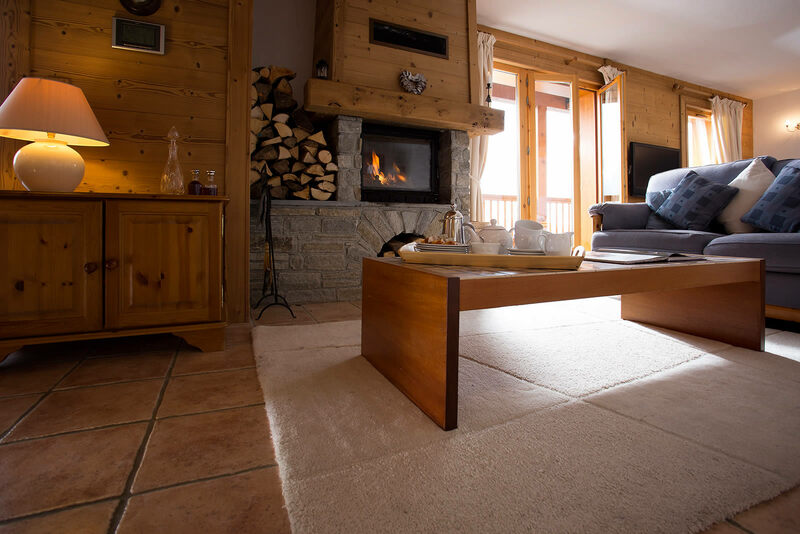 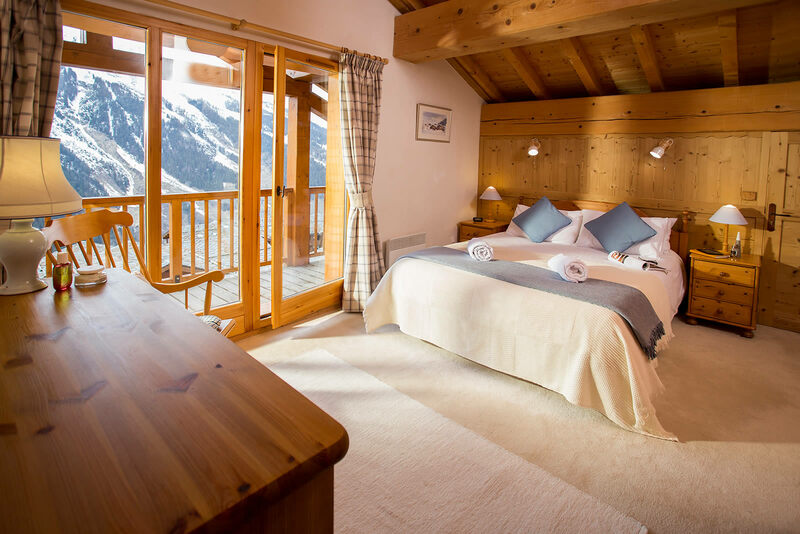 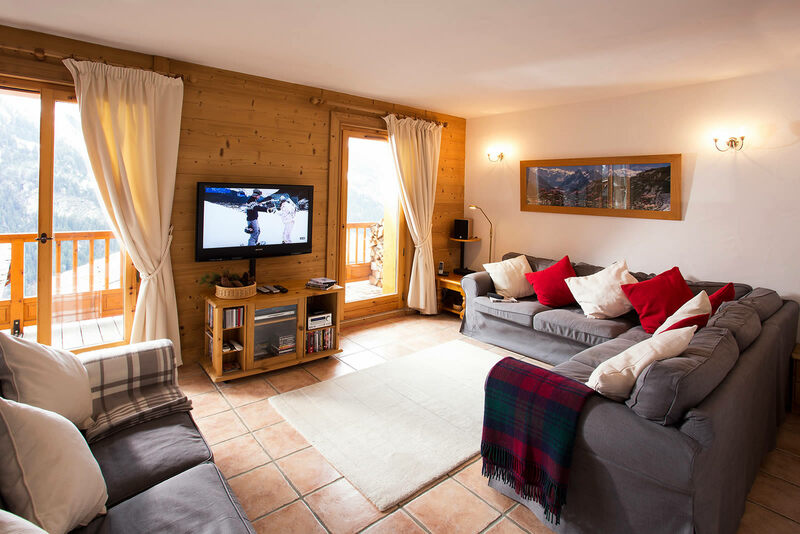 Chalet Christine is a spacious luxury chalet in a commanding position in Sainte Foy Station. 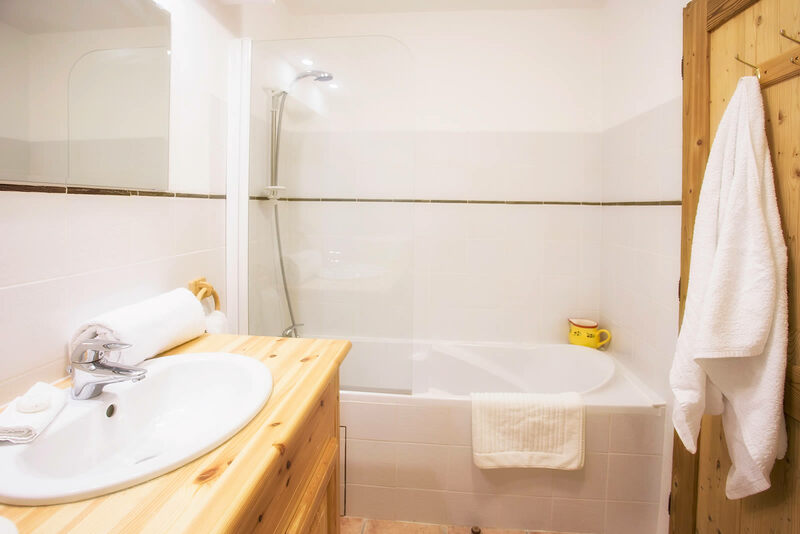 It is 100 meters from the lifts, shops and restaurants and provides 160 square meters of living space over 3 floors, accommodating 8 guests in 4 en-suite bedrooms. 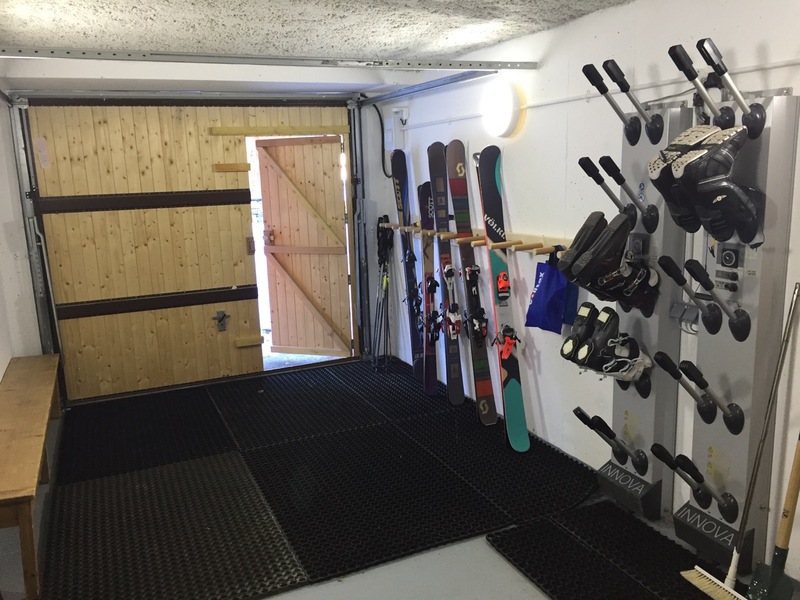 On the middle floor there is an entrance lobby with cupboard space for ski wear. 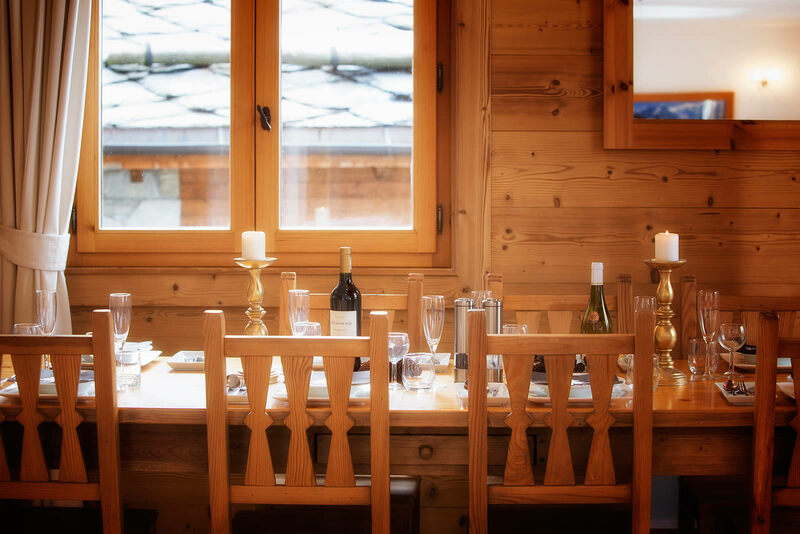 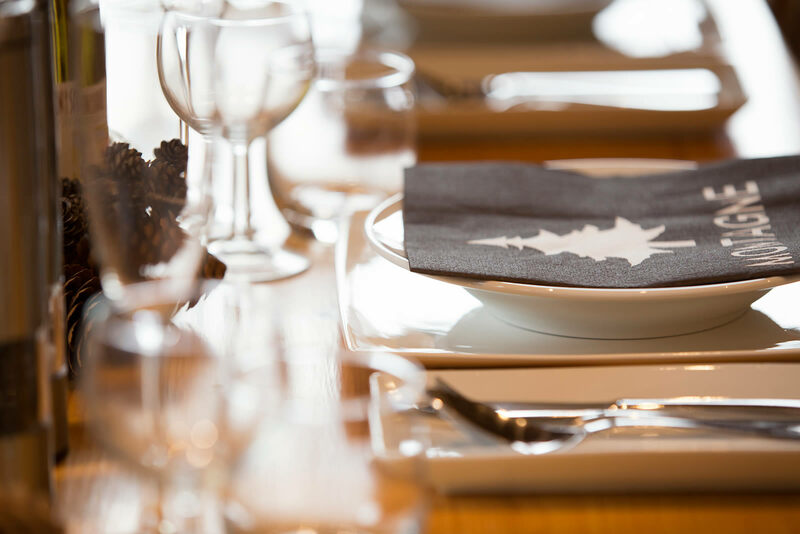 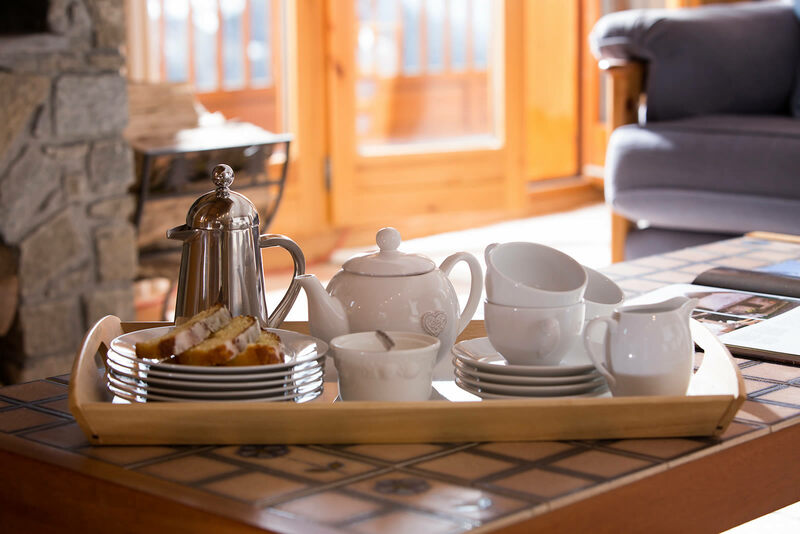 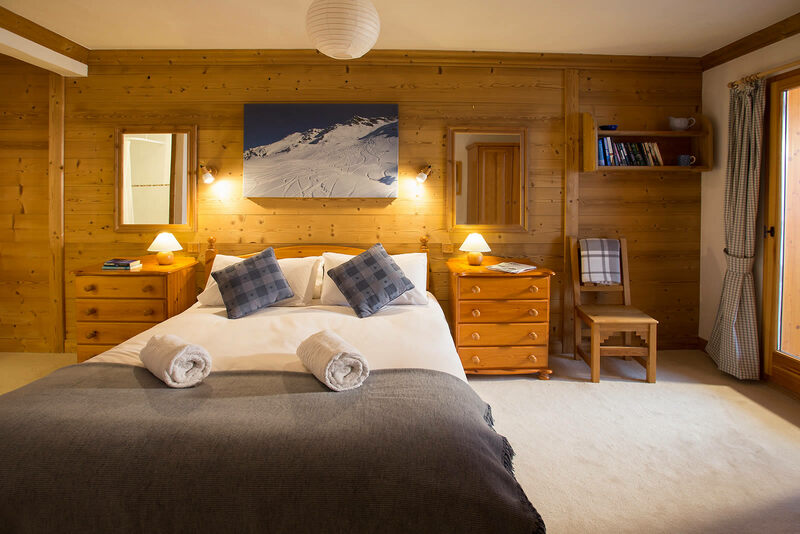 A large, open plan living/dining area runs the full width of the chalet, with a log fire, 49" UHDTV, free WiFi, Freesat UK TV, French TV, and bluetooth sound system. 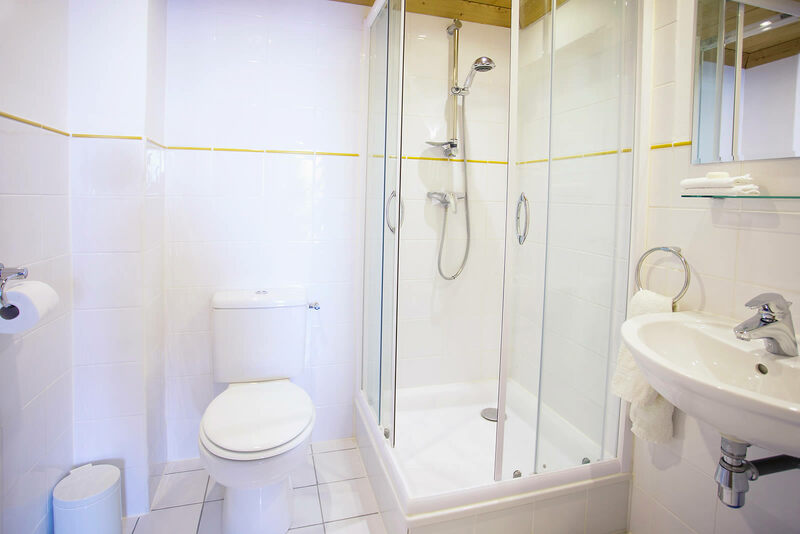 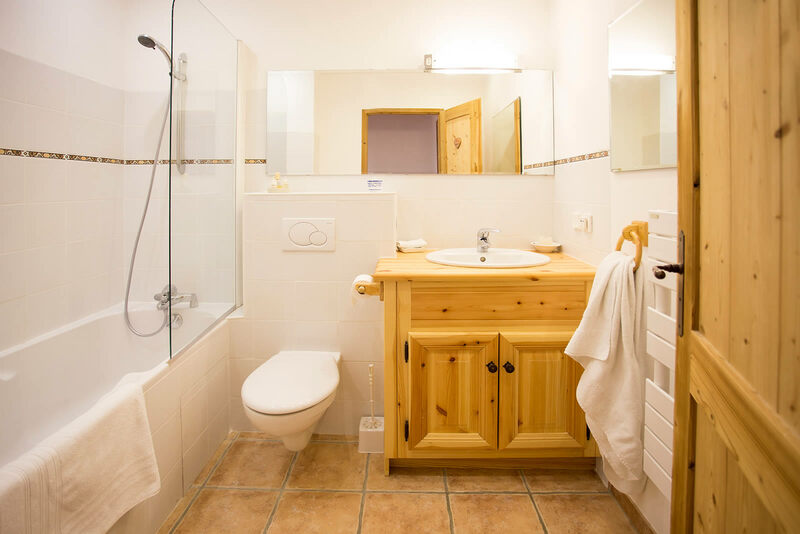 There is also a spacious and fully equipped kitchen and a separate loo with washbasin. 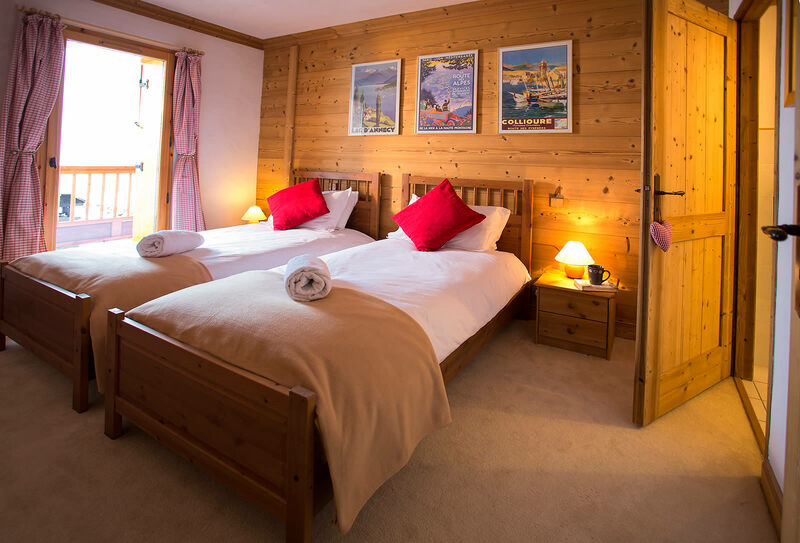 On the lower ground floor there are 3 spacious bedrooms, one double and 2 twins all with en-suite bathrooms. 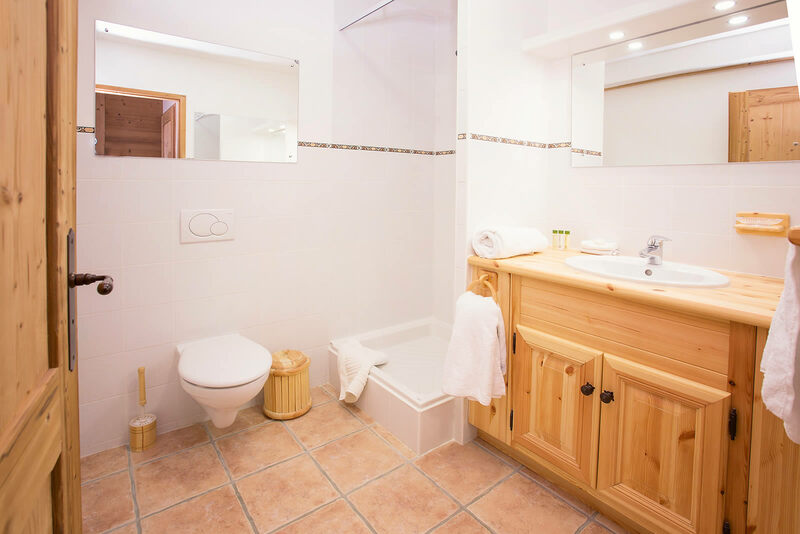 On the first floor is the master bedroom, again with en-suite bathroom, connecting to a mezzanine overlooking the living area. 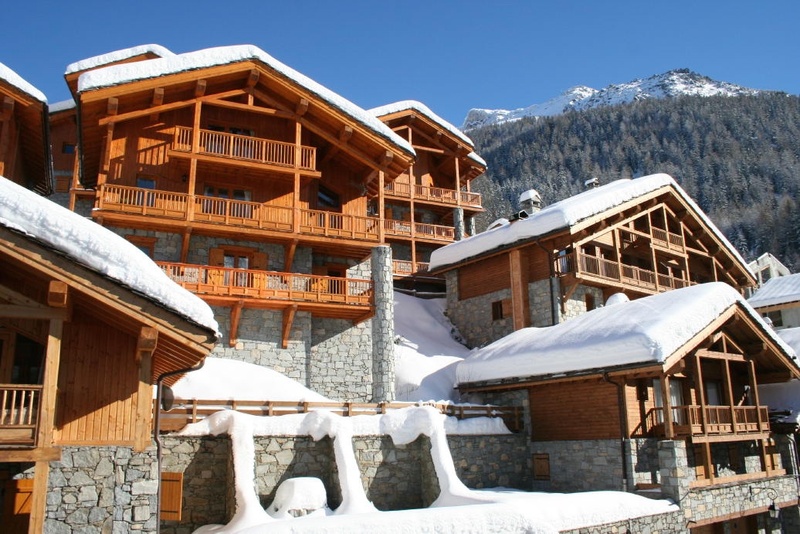 On the road below the chalet is the garage boot-room, giving a short and level walk to and from the piste. 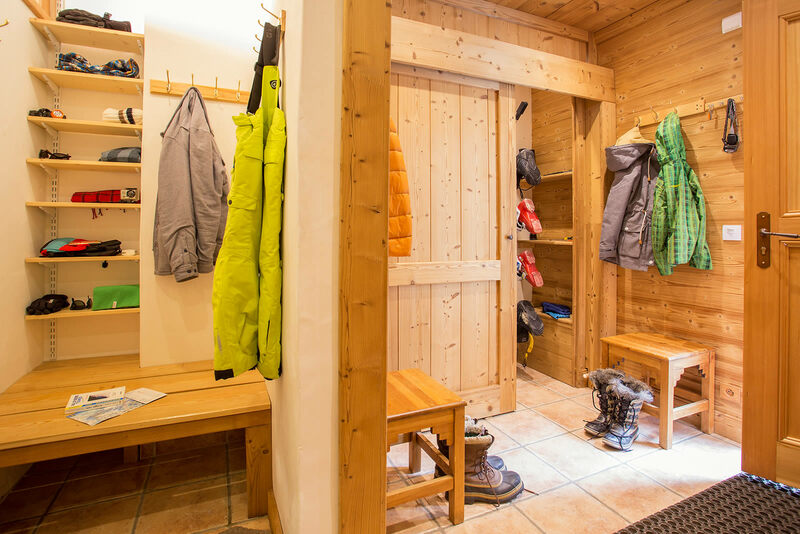 There are benches, racks for skis and boards, and boot warmers.